Dr. Avery received her Bachelor of Science degree from the University of Stellenbosch in South Africa in 1971, her Honors in Science degree from the University of Pretoria in South Africa in 1982, and her Master’s of Science (1984) and Ph.D. degrees (1988) in Family Resource Management from The Ohio State University. Dr. Avery joined the Cornell University faculty as an Assistant Professor in the Department of Consumer Economics and Housing in 1988. She was promoted to Associate Professor with tenure in the department of Policy Analysis and Management in 1994, and to the rank of Professor in 2000. Her most recent work focuses on the regulation of pharmaceutical advertising and the impact of commercial messages and public service messages on the health-related behavior of individuals. She has been the co-recipient of four federal grants to support her research in this area. Dr. Avery has been the recipient of several awards for both her teaching and scholarship. 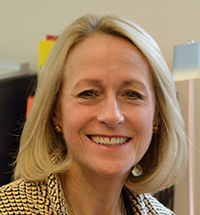 She was awarded the prestigious Carpenter Award for Advising in 2007, a Weiss Presidential Fellowship in 2001, she has received a Merrill Presidential Teacher Recognition Award fifteen times, and was the recipient of the SUNY Chancellor’s Award for Excellence in Teaching in 1998 and service excellence in 2014. In 2000 Dr. Avery was recognized by a leading consumer policy association in the U.S. (the American Council on Consumer Interests) as the outstanding mid-career professional. She has served as a Board Member for three national policy associations, and serves as a reviewer for several leading academic journals. At the University level Dr. Avery served on the Cornell University Board of Trustees 2008-2012 as a Faculty Trustee and served on several leading university committees, including on the steering committee for Cornell's Sesquicentennial Celebrations.Furthermore, she serves the Cornell undergraduate community as Dean and House Professor in Flora Rose House on Cornell's west campus, and as Faculty Advisor to the Cornell Varsity Men’s Football and Men’s Lacrosse teams. Dr. Avery's work in family policy focuses on the impact of print and television advertising for pharmaceutical products on consumers' health-related behavior, particularly the impact of tobacco and nicotine replacement therapy products on smoking cessation behavior, the impact of antidepressant advertising on antidepressant product use, and the impact of weight loss product advertising on diet, exercise, and weight loss product use. She is currently working on a project examining advertising for sugar-sweetened beverages, cereals, candy, and fast-food restaurants on consumption. In addition, she has a project underway examining the impact of vitamin advertising on supplement consumption. Avery, R. J., Eisenberg, M., & Cantor, J (2017). An Examination of Structure-Function Claims in Dietary Supplement Advertising in the U.S.: 2003-2009. Preventative Medicine, 97: 86-92. Niederdeppe, J., Avery, R. J., & Miller, E. N. (2017). Alcohol control PSAs and drunk-driving fatalities in the United States, 1996-2010. Preventive Medicine, 99, 320-325. Niederdeppe, J., Avery, R. J., Kellogg, M., & Mathios, A. (2017). Mixed messages, mixed outcomes: Exposure to direct-to-consumer pharmaceutical advertising for statin drugs is associated with more frequent visits to fast food restaurants and exercise. Health Communication, 32, 845-856. Skurka, C., Byrne, S., Thrasher, J. T., Greiner Safi, A., Kemp, D., Davydova, Y., Avery, R., Dorf, M., Mathios, A., Scolere, L., & Niederdeppe, J. (2017). Effects of 30% and 50% cigarette pack graphic warning label size on visual attention, negative affect, quit intentions and smoking susceptibility among disadvantaged populations in the United States. Nicotine & Tobacco Research.doi:10.1093/ntr/ntx244/4591643. Byrne, S., Greiner Safi, A., Kemp, D., Skurka, C., Davydova, Y., Scolere, L., Mathios, A., Avery, R., Dorf, M., Steinhardt, J., & Niederdeppe, J. (2017). Effects of varying color, imagery and text of cigarette package warning labels among socioeconomically disadvantaged middle school youth and adult smokers. Health Communication. doi: 10.1080/10410236.2017.1407228. Dr. Avery's current projects in regulatory policy focus on the impact of: OTC weight loss advertising on dieting, exercise, and consumption of OTC weight loss products; Rx STATIN drug advertising on screening and statin drug use; anti-tobacco and anti-alcohol PSAs on state-based smoking and DUI rates; cigarette warning labels; and the impact of advertising for sugar-sweetened beverages, cereals, and candy on consumption and obesity rates. Her current project focuses on the impact of vitamin advertising on vitamin consumption, and an examination of whether health claims made by vitamin manufacturers in their advertising comply with FTC regulations. Dr. Avery teaches the introductory course to the PAM major, PAM 2300 Introduction to Policy Analysis. She also has taught the senior seminar for the PAM honors students, PAM 4980 Honors Seminar. As part of the PAM 2300 teaching effort, Dr. Avery offers a year-long teaching apprenticeship course in which students learn to prepare lesson plans, practice classroom teaching, and undertake background research for class presentations. In addition to her teaching Dr. Avery leads the undergraduate PhADS lab, a research laboratory that trains undergraduates in data entry, data management, and high-level statistical skills. Students in this lab often write honors theses and journal articles with faculty. Dr. Avery currently serves as Dean and House Professor in Flora Rose House on Cornell's West Campus.